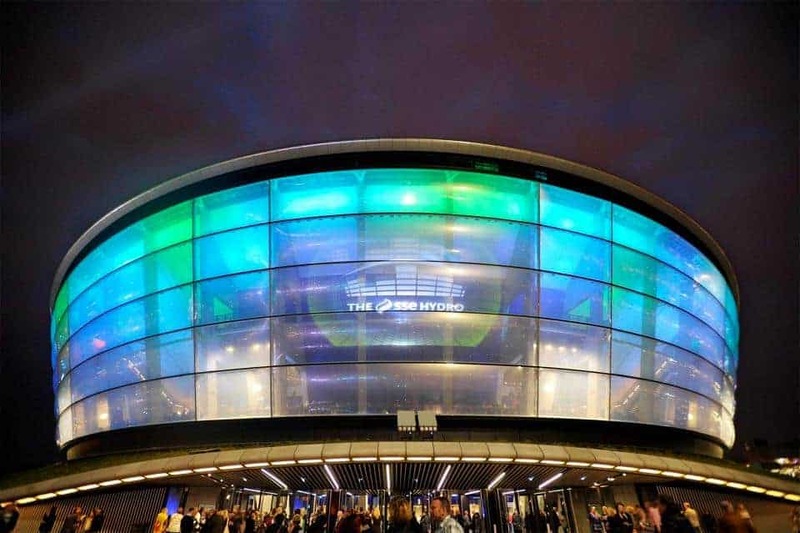 The SECC Glasgow Scottish Event Campus Centre is Scotland’s largest exhibition arena and is home to some of the biggest artistic events in the entire Scottish calendar. 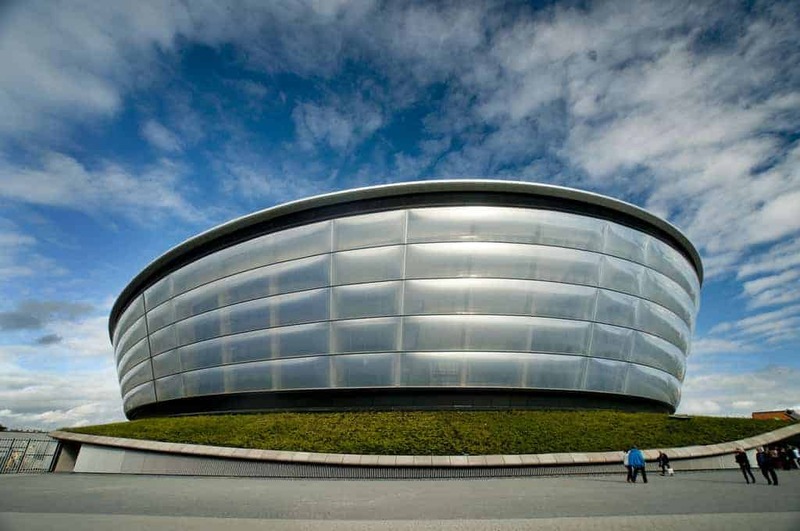 Everything from classical music, dance shows, pop music extravaganzas to sports events are hosted in the exhibition halls, and any trip to Glasgow should include a visit to the site if only for the photo opportunities. 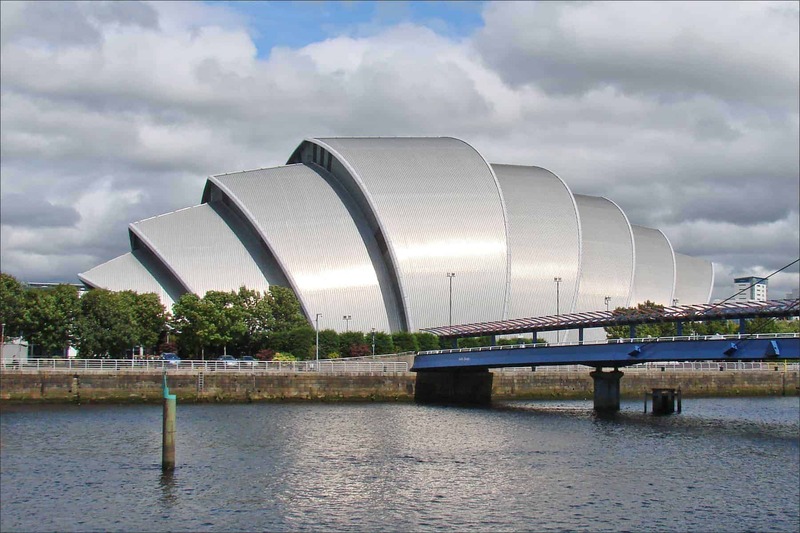 Although the SECC is a relatively new addition to the Glasgow cityscape – opening in 1985 – it’s become one of the city’s most photographed attractions, and also one of its most-visited. Arguably the most famous building on the campus is also the most striking, having gained the affectionate name of ‘the armadillo’ due to its multi-layered rooftop. This building was constructed in 1997 with the design coming from the imagination of the famous British architect Sir Norman Foster, and today the 3000-people capacity building is considered one of the architectural highlights of the city. But there’s more to the event campus than the armadillo. 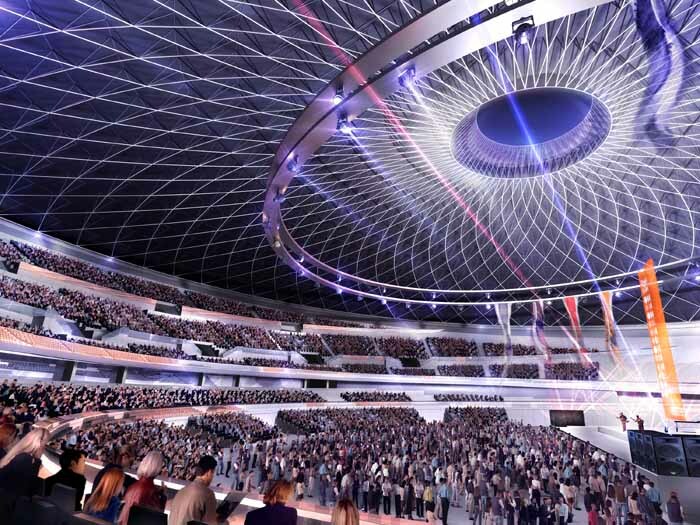 The SECC occupies over 64 acres of prime land on the north bank of the River Clyde, with the Main Building and SSE Hydro also taking up prime real-estate in this recently regenerated part of Glasgow. Access to the site has been made a top priority for the city council and not only are there frequent buses and taxis, but the SECC even has its own railway station as part of the Argyle Line railway network. 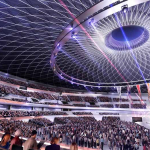 The SSE Hydro will be known to many Scots as the principle concert arena in the country, and this 12,500 seat venue is viewed as one of the top arenas in the world, ranking third in the Pollstar Top 100 global arenas and number 1 in the Billboard arena charts. Over a million visitors pour through its doors each year to view upwards of 70 concerts, which makes a visit to the £50 million building quite an experience. 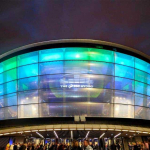 The Hydro has also been showered with awards for its design, including the Chairman’s Award for Architecture at the Scottish Design Awards and the Architectural Excellence Award at the Scottish Property Awards. The Main Building quickly gained the nickname of ‘the big red shed’ when it opened in 1985 due to the rather strange decision to paint it like a giant red warehouse, however, it’s since been painted a rather less glamorous grey. Even so, the Main Building was receiving over 1.5 million visitors from the first year that it opened and promptly planted itself in history as officially Scotland’s most-visited venue. 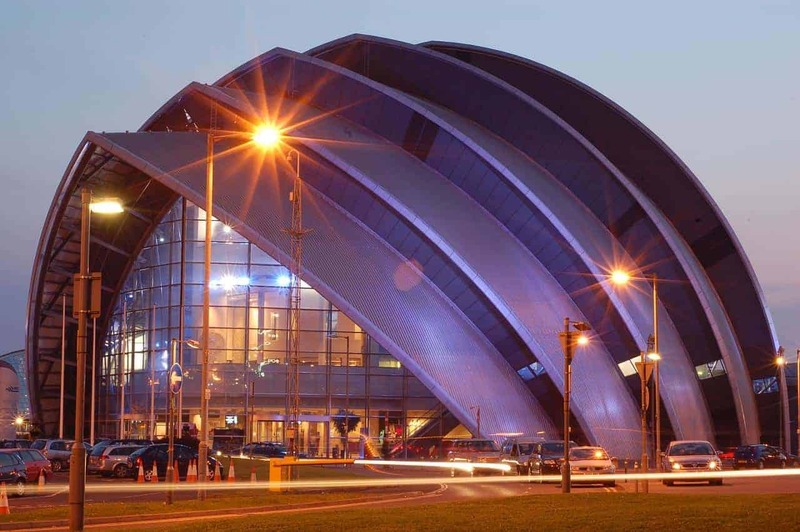 Today the SECC is just one of many must-see attractions if you head towards the River Clyde during your visit to Scotland’s largest city, with the Science Centre and Riverside Museum (amongst others), all within easy walking distance. 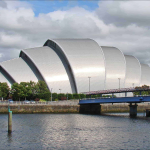 The SECC Glasgow Scottish Event Campus Centre is located just outside Glasgow city centre in the west-end. The campus is accessible by numerous transport options. The Glasgow SECC opening hours are dependent on the event being hosted. Prices also vary by the event, so please check the SECC website here for further information.